With the Clean Energy for all Europeans package the Commission proposed in 2016 a framework to deploy renewable, efficient and sustainable heating in our buildings and industry. In June 2018 the European Parliament and the Council agreed on an ambitious new Renewable Energy Directive. The new directive sets a target of 32% renewables' share in the EU final energy consumption by 2030 and an indicative sub-target for the heating and cooling sector requiring an average 1.3 percentage point annual increase in renewables in the period of 2021-2030. District heating and cooling will have to contribute to this sub-target by at least one percentage point annual average increase in renewables. Waste heat and cold are allowed to be used to fulfil these increases, but are capped at 40% of the overall 1.3 percentage point renewable increase requirement. At the same time the European Parliament and the Council agreed on the revision of the Energy Efficiency Directive setting a 32.5% energy saving target by 2030, as well as a new Governance Framework to implement the Clean Energy package under the Energy Union. 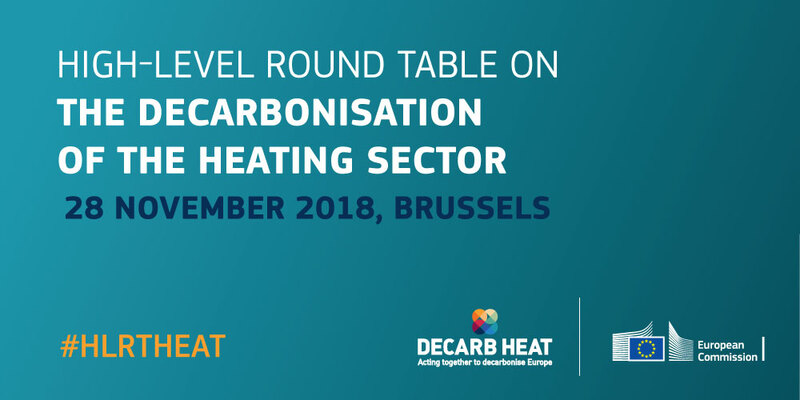 For the longer term goals beyond 2030, the Commission is proposing a Long-term Decarbonisation Strategy to explore decarbonisation options by 2050 and thus also prepare for the Katowice Climate Change Conference organised under UNFCCC COP 24.